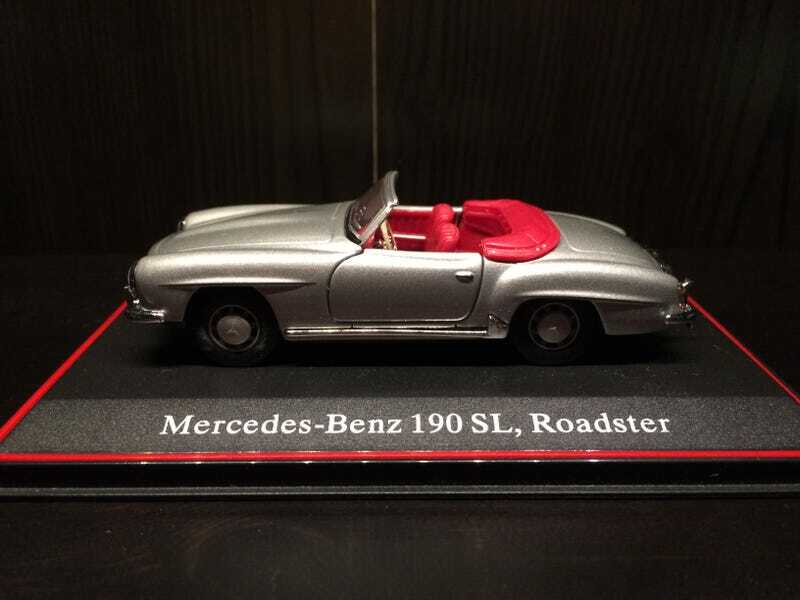 This Minichamps Mercedes-Benz 190SL Roadster has a special meaning to me. My awesome grandparents (may they rest in peace) bought this at the MB museum in Stuttgart during one of their many vacations to Europe. They then gave it to me, then a burgeoning young enthusiast, for my birthday. I think it’s actually the only 1/43rd I own. My collection is mostly 1/64ths and 1/24ths, with a good amount of 1/18ths and a few 1/32nds. Can’t really see it but the dash is actually quite detailed. This is the most expensive diecast I own, being sold online in the $40-$60 range. As for the car itself, the 190SL was a grand tourer manufactured by Mercedes-Benz from 1955 to 1963, as a cheaper alternative to the pricy 300SL. It was built on the W121 platform and 25,881 were built during its 9-year production. This 1/64th Mercedes-Benz CLK LM/CLK GTR is by far one of my favorite HW castings. It’s nice and simple, the lack of tampos allowing the detail of the car to stick out. The wheels are a perfect fit for it, and the single HW tampo isn’t distracting at all. I actually obtained this in a recent HWEP with Roundbadge. That’s not all for today actually. My WW post will be up soon.